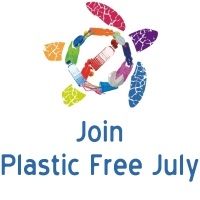 Plastic Free July is here!! » Uncategorized » Plastic Free July is here!! I love this time of year! I get to feel great about doing something for the planet and challenge myself to learn new things. Have you joined Plastic Free July yet? It really is very simple. Just pledge to give up disposable plastic bags, water bottles, straws and take away coffee cups. You can do it for a day, a week or the whole month. If your a bit more along the plastic free journey you might consider giving up disposable plastic packaging too. You probably don’t need to go out and buy anything as most of us have all the tools we need right now. Just say no to straws when you order out, remember to take your reusable shopping and produce bags with you, and keep your BYO coffee cup nearby if you like a take away cuppa. I’ve been doing Plastic Free July since 2013 and every year I stretch myself to reduce one more thing. My family aren’t as wasteless as me but that doesn’t mean I can’t still give it a go. I can make decisions that are good for me and encourage them to make changes but I never want them to feel pressured into something. Plastic Free July isn’t just about waste, it’s also about enjoying life. I love that because of this challenge I now know how to make my own yoghurt, bread, soft cheese, pasta, granola and a bunch of other things. I love that I have found a community of others who are doing good things for the environment (rather than just talking about how bad things are getting). I love that I can shop quickly and easily, just buy what I need and spend more time enjoying life rather than dealing with stuff. I love all that I have gained by getting rid of the rubbish in my life. Over the month of July we will be giving you lots of suggestions via Instagram and Facebook on simple changes that you can make, but we would love to hear from you. What are your disposable plastic dilemmas? What are your disposable plastic solutions? To make it just a bit easier and give you a little incentive to try reducing your plastic packaging – how about a 5% discount on any items bought during July where you have refilled your own container! As always you can drop off your containers and we will do your shopping for you if you prefer. It doesn’t get much easier to do the right thing!! 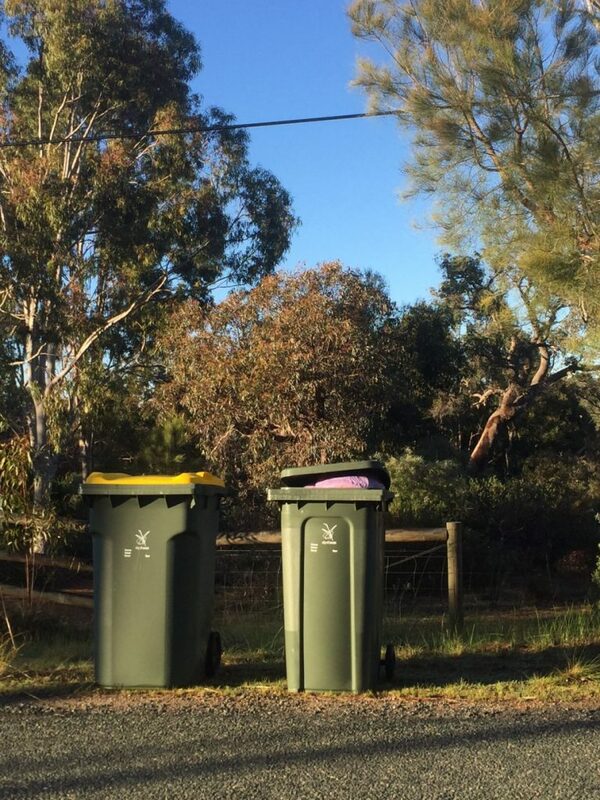 I dream of a day when no one’s green bin is full to the brim on rubbish collection day!